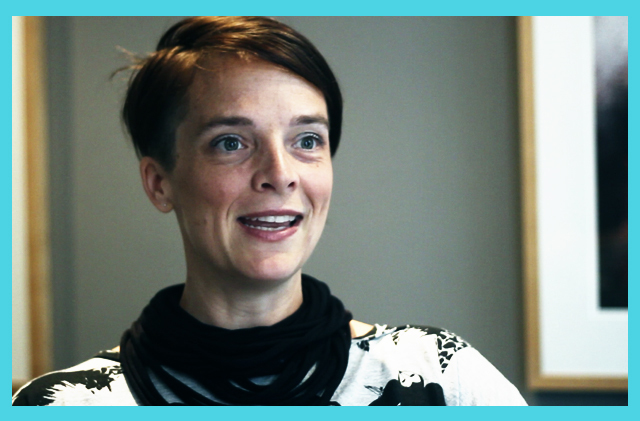 Katie is the Director of Innovation at Droga5, Sydney. She is part of an internal creative team that works across all style and sportswear labels. The department focuses on innovation, research and connections planning. With innovation they are charged with looking for new opportunities in technology as well as collaboration opportunities with other brands. The group preforms a lot of preliminary research including ethnography for insight mining. Connections planning helps the team to make sure that all the pieces that are getting created by their counterparts make a consumer journey that is logical and interesting. It’s Katie’s job to manage all aspects of digital including social, mobile and commerce. She partners with the digital leads in each of those groups to help write project briefs and proposals. Katie has a wealth of experience working client side at adidas, to creative agencies such as 180 Amsterdam and Wieden+Kennedy. To find out more about what interests Katie, check out her blog. Love it! Great and insightful. Kinda relieved Katie brought up the ‘swiss army knife’ metaphor. Very recognizable and happy to hear that people might actually value this. Thanks Ashly & Ben for setting this up! As a Jr. Strategist just starting out I’m thrilled about this site!! I’m so glad Katie mentioned how she use to worry about making the right decisions…It’s funny how my peers and I often worry about our “diverse” backgrounds when applying to our so-called “dream jobs” when in the end, it’s our diversity that will make this fragmented industry eclectic and rich. I’m glad Katie’s videos are up b/c she’s such a great mentor to us youngstirs, and in this fragmented industry it’s tougher and tougher for us to see a clear path and understand if we’re doing things “right.” We need all the generous guidance we can get! Can’t wait for more content from you guys! What liberating knowledge. Give me librety or give me death. A wonderful job. Super helpful inofrmation. Love it. What a rad gal. many thanks for the kind and enthusiastic feedback, it’s nice to know my sputterings and mutterings are helpful in some small way. happy new year all! Love how Katie uses her children as the test point to see if something she’s going to do is “simple” and “fun” enough.